Fifty years ago the Summer of Love was just getting started. 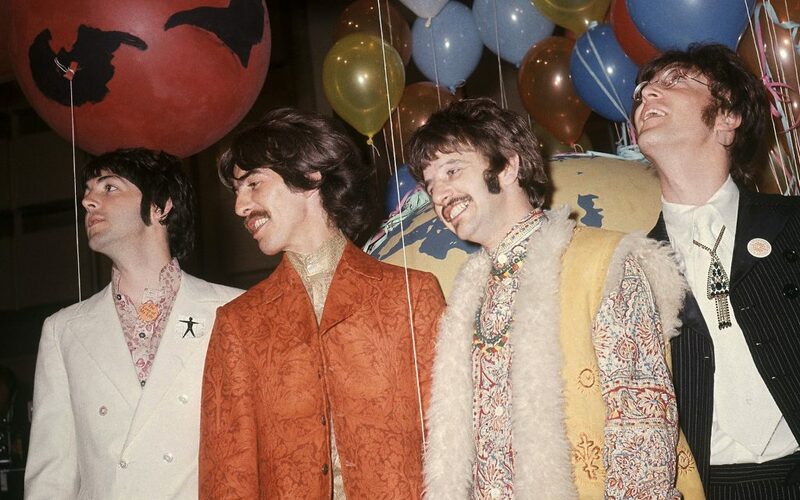 It would eventually become one of the biggest media events of the Sixties, celebrated in song and television coverage that elevated hippie culture to the height of pop consciousness. The far-out feelings were fueled largely by cannabis, the drug of choice for young people who flocked to the psychedelic streets of San Francisco wearing flowers in their hair. 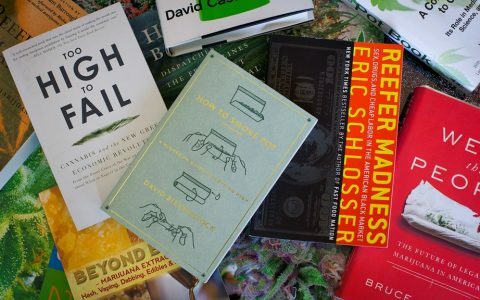 By summer 1967, marijuana was blossoming in its pubescent prime, reflected increasingly, if not downright presciently, in magazines, music, literature, and television. It was in the summer of 1967 that President Lyndon Johnson told Life Magazine that marijuana use was a problem in the U.S. Coast Guard. Two weeks later, Newsweek followed with its July 24, 1967 report on America’s pot problem. Of course, in Dragnet’s version of the true story, the couple’s baby dies, the father gets probation, and the mother is placed under the supervision of the State Department of Mental Hygiene. 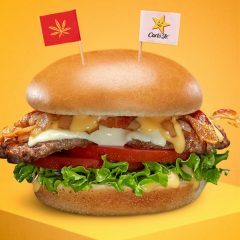 But not before the dad, a 23-year-old computer programmer, predicts the future: “Marijuana’s going to be like liquor, packaged and taxed and sold right off the shelf.” Other nuggets from this episode: In 1967, lids of weed cost $15; joints sold for 50 to 75 cents. 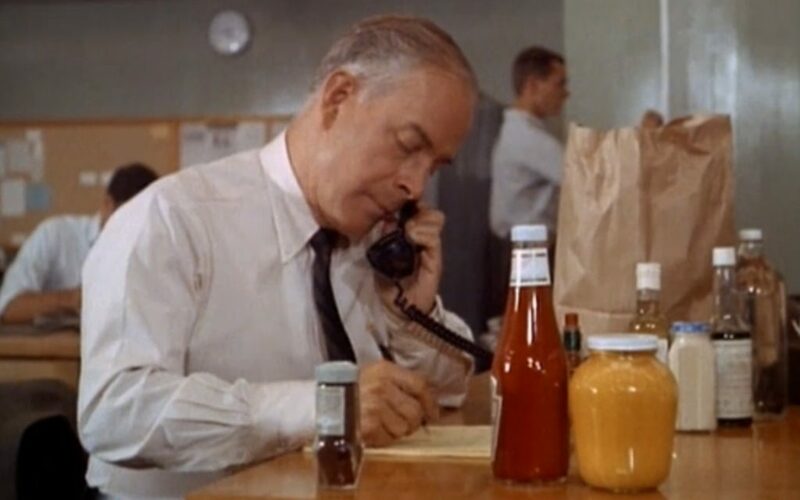 Epilogue: Joe Friday’s partner, Frank Gannon (played by scenery chewing Harry Morgan) goes edible, in the old sense of the word. For a modern turn of phrase, add cannabis to the barbecue sauce recipe he dictates over the telephone in this episode’s opener. Three years after the Fab Four smoked their first joints, the now-High AF Four publicly sponsored pot legalization in Great Britain. Paul McCartney—who the year before had pledged his devotion to cannabis in song via “Got to Get You Into My Life”—paid for a full-page pro-legalization advertisement that published in the Times of London on July 24, 1967. 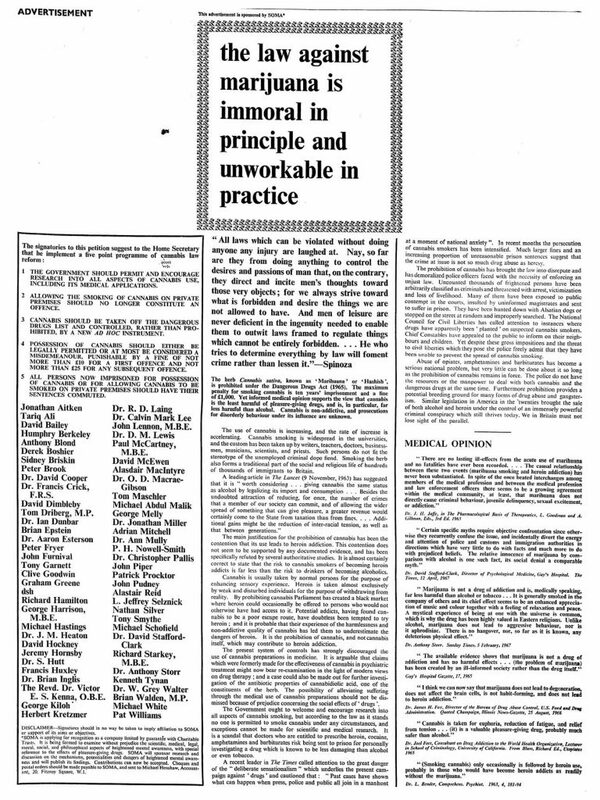 It was signed by all four Beatles and their manager, along with 59 other members of British society in response to the nine-month prison sentence of British cannabis activist John Hopkins. 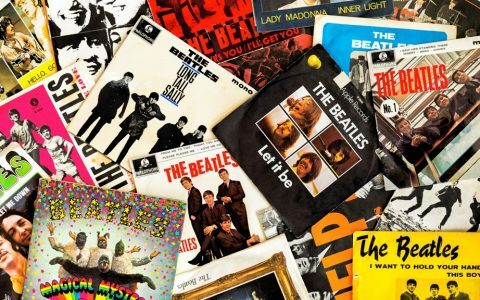 Published less than two months after the Beatles released their most pot-sotted album, “Sgt. 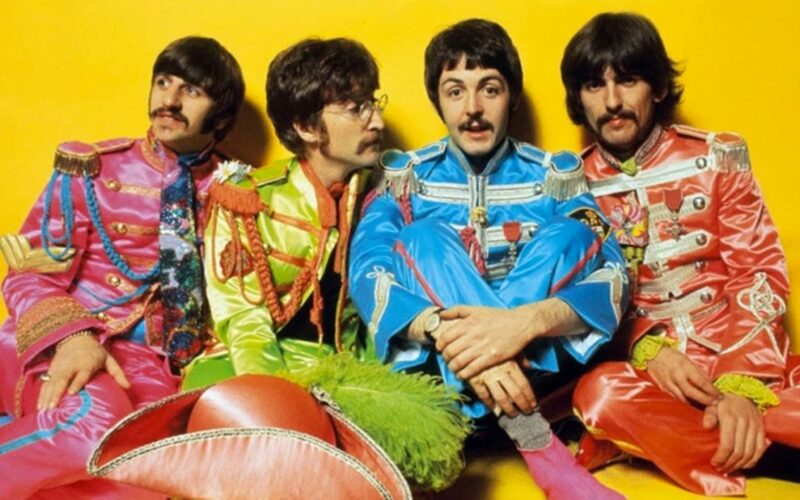 Pepper’s Lonely Hearts Club Band,” the ad sounds way more today than yesterday. The use of cannabis is increasing, and the rate of increase is accelerating. 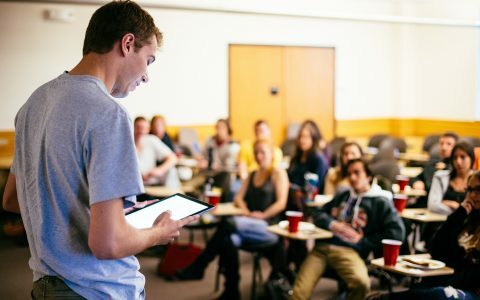 Cannabis smoking is widespread in the universities, and the custom has been taken up by writers, teachers, doctors, businessmen, musicians, scientists, and priests. Such persons do not fit the stereotype of the unemployed criminal dope fiend. Smoking the herb also forms a traditional part of the social and religious life of hundreds of thousands of immigrants to Britain. The main justification for the prohibition of cannabis has been the contention that its use leads to heroin addiction. This contention does not seem to be supported by any documented evidence, and has been specifically refuted by several authoritative studies. 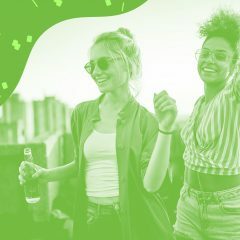 It is almost certainly correct to state that the risk to cannabis smokers of becoming heroin addicts is far less than the risk to drinkers of becoming alcoholics. 1 THE GOVERNMENT SHOULD PERMIT AND ENCOURAGE RESEARCH INTO ALL ASPECTS OF CANNABIS USE, INCLUDING ITS MEDICAL APPLICATIONS. 2 ALLOWING THE SMOKING OF CANNABIS ON PRIVATE PREMISES SHOULD NO LONGER CONSTITUTE AN OFFENCE. 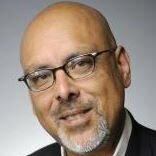 3 CANNABIS SHOULD BE TAKEN OFF THE DANGEROUS DRUGS LIST AND CONTROLLED, RATHER THAN PROHIBITED, BY A NEW AD HOC INSTRUMENT. 4 POSSESSION OF CANNABIS SHOULD EITHER BE LEGALLY PERMITTED OR AT MOST BE CONSIDERED A MISDEMEANOUR, PUNISHABLE BY A FINE OF NOT MORE THAN ukp10 FOR A FIRST OFFENCE AND NOT MORE THAN ukp25 FOR ANY SUBSEQUENT OFFENCE. 5 ALL PERSONS NOW IMPRISONED FOR POSSESSION OF CANNABIS OR FOR ALLOWING CANNABIS TO BE SMOKED ON PRIVATE PREMISES SHOULD HAVE THEIR SENTENCES COMMUTED. 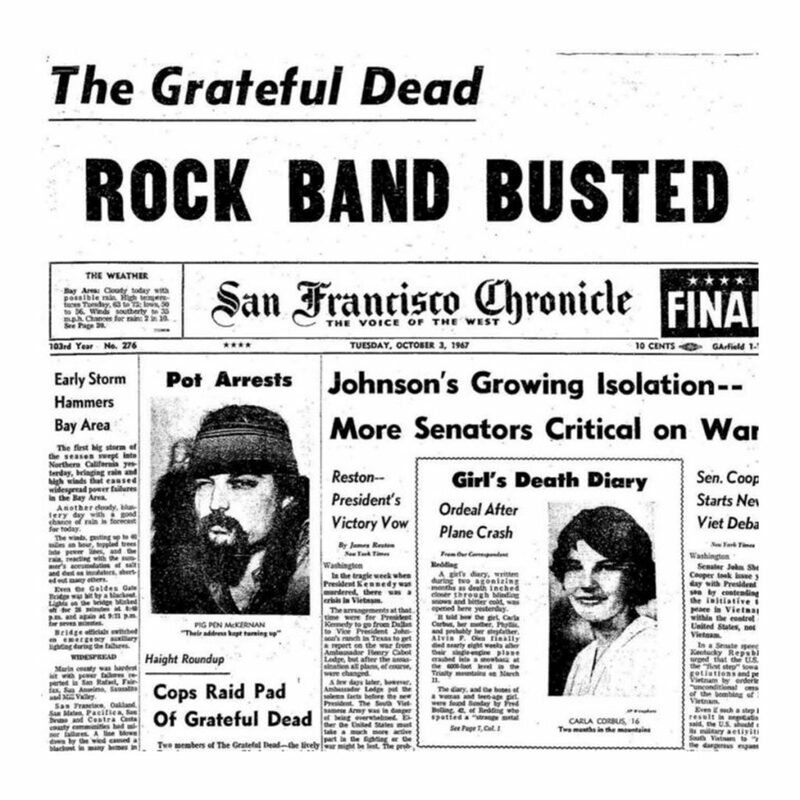 The arrest famously mentioned in the Grateful Dead’s hit song “Truckin’” wouldn’t happen until 1970 in New Orleans, but the band’s long strange trip with drugs and the law began Oct. 2, 1967 in San Francisco. 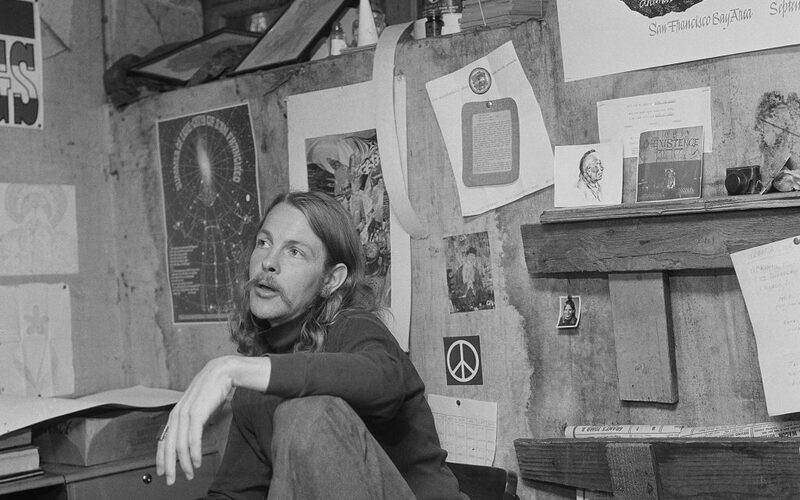 The arrest of 11 people living at 710 Ashbury St.—band members Bob Weir and Pigpen, two managers, and seven women variously described as “friends,” “visitors,” and “just girls’”—sparked social-justice and plant-therapy issues that have defined pot politics for 50 years. Rolling Stone magazine published its first issue on Nov. 9, 1967. With a pot dealer serving as its chief copy editor, it was only fitting that Rolling Stone came with a free roach clip for early subscribers. Hand-crafted by the man who would later become Rolling Stone’s art director, the pot paraphernalia was peddled as a must-have. 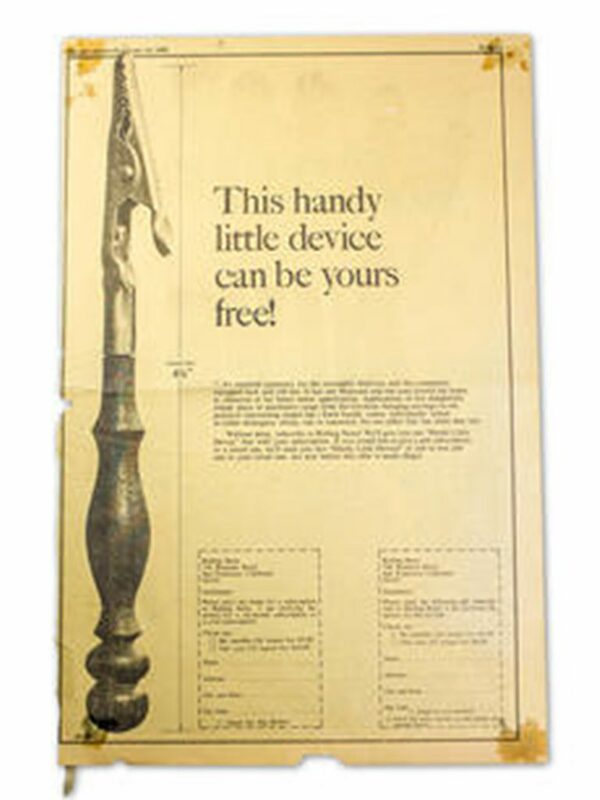 A full-page ad claimed the gift had “one thousand and one uses around the home, in rehearsal, or for better music appreciation.” Rolling Stone Vol. 1, No. 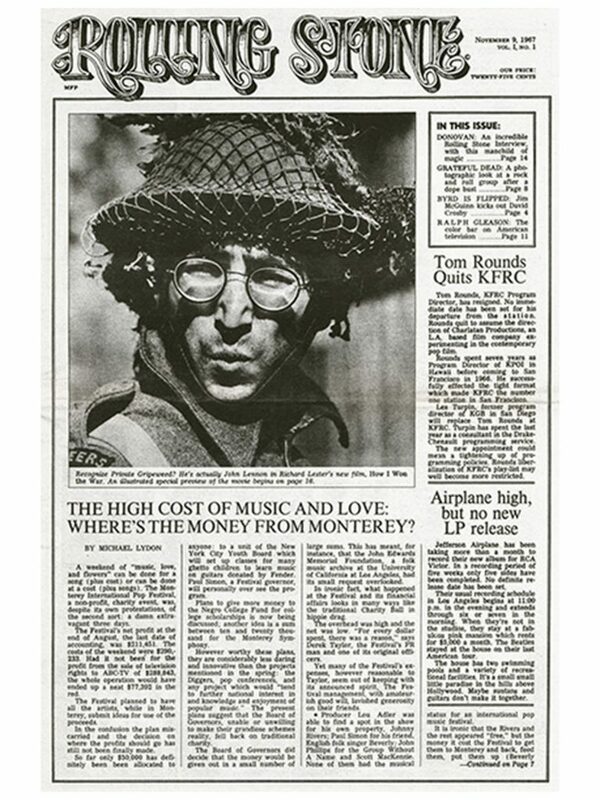 1, by the way, featured a photo of John Lennon in costume as Pvt. Gripweed on the set of the 1967 movie “How I Won the War” looking pretty stoned. 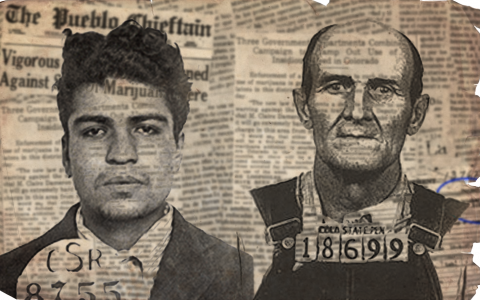 Inside was a report on the Grateful Dead’s pot bust. A heady mess of short stories, satire, interviews and sketches through which author Terry Southern, engineer of “Candy” and “Dr. Strangelove,” explores hipster mentality and counterculture pretense, “Red-Dirt Marijuana and Other Tastes” was published in 1967, featuring the title tale of a white boy who learns about the quality of red-dirt marijuana from his black friend. 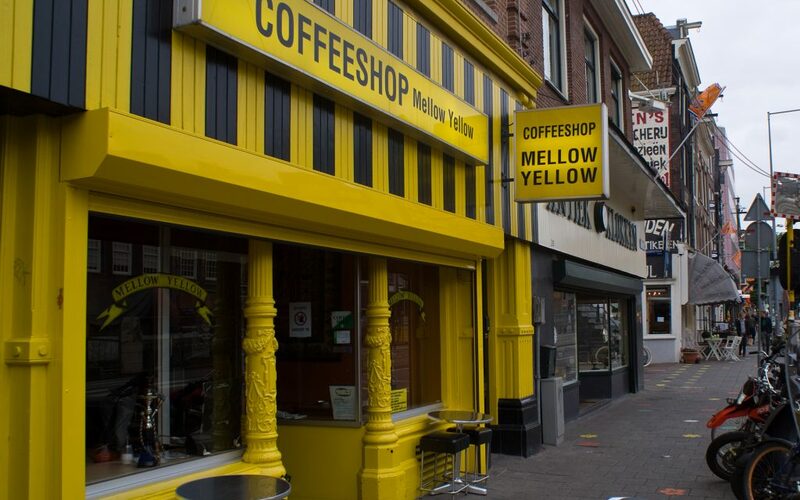 Mellow Yellow, Amsterdam’s (and the world’s) first cannabis coffeeshop, opened in 1967—a high point of Dutch tolerance enjoyed by toking tourists from around the world for five decades. 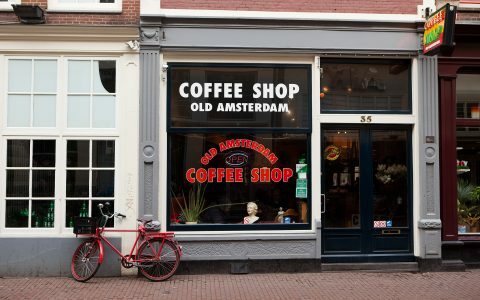 It closed in December 2016, a victim of the Netherlands’ shifting tolerance toward soft drugs like pot and hashish. The death knell was a new law pushed by Amsterdam’s mayor that outlawed cafes where people can buy and smoke cannabis from operating within 250 meters of a school. Mellow Yellow missed the mark by 20 meters; a neighboring hairdressing academy, most of whose students are over age 18, is 230 meters away. 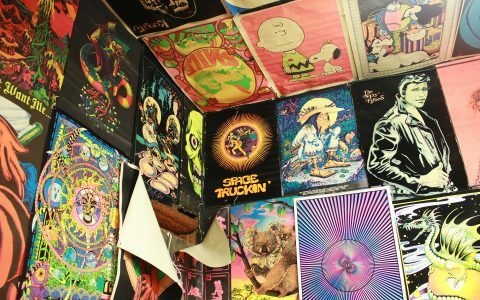 The Psychedelic Shop, San Francisco’s first and most influential head shop, opened in January 1966, becoming the Haight-Ashbury’s epicenter of hippie culture and commerce, including extra-legal drug sales and on-premises pot smoking. It closed in October 1967 when its LSD-loving owners declared the hippie movement dead, along with their enthusiasm for being full-time businessmen. As sober as Joe Friday was, Dragnet’s producers had pretty stoney numbering notions. Dragnet rebooted for four seasons beginning in 1967. To distinguish the technicolor cop drama from the black-and-white version that aired from 1951-1959, producers renamed the show Dragnet 1967, then Dragnet 1968, Dragnet 1969 and, finally, Dragnet 1970, each year designating the air date of the last episode of each season. 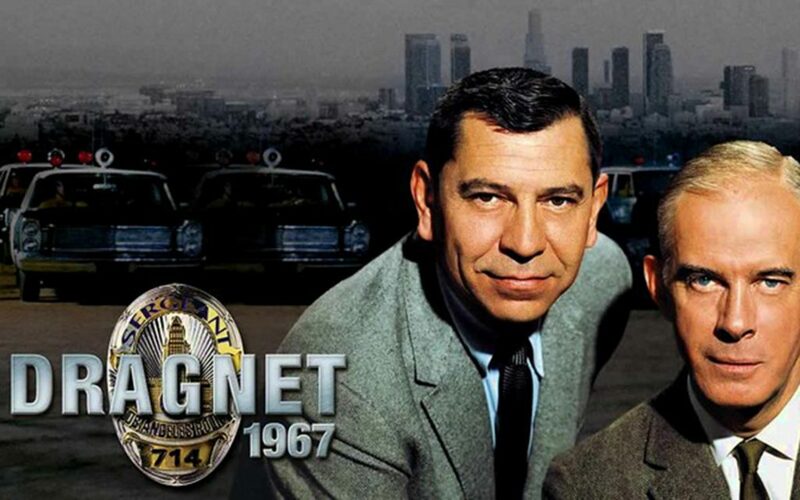 Season 1 reboot (Dragnet 1967) ran from January 1967 to May 1967. Season 2 reboot (Dragnet 1968) aired from September 1967 to May 1968. Season 3 reboot (Dragnet 1969) aired from September 1968 to April 1969. Season 4 reboot (Dragnet 1970) aired from September 1969 to May 1970. How can Marijuana be illegal and alcohol remain legal. It makes more sense for Mj to be legal and alcohol illegal. We need a mass political movement to make alcohol illegal. We could start by finding out which politicians use alcohol and use it to see that they don’t get reelected. That makes sense. Too much sense, apparently, for the federal government! 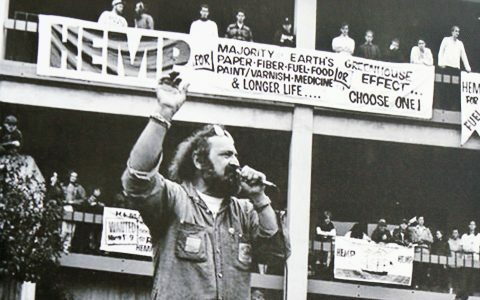 50 years ago, Pot was not on Fed Schedule, it was a groovy time, freedom, Peace and love.